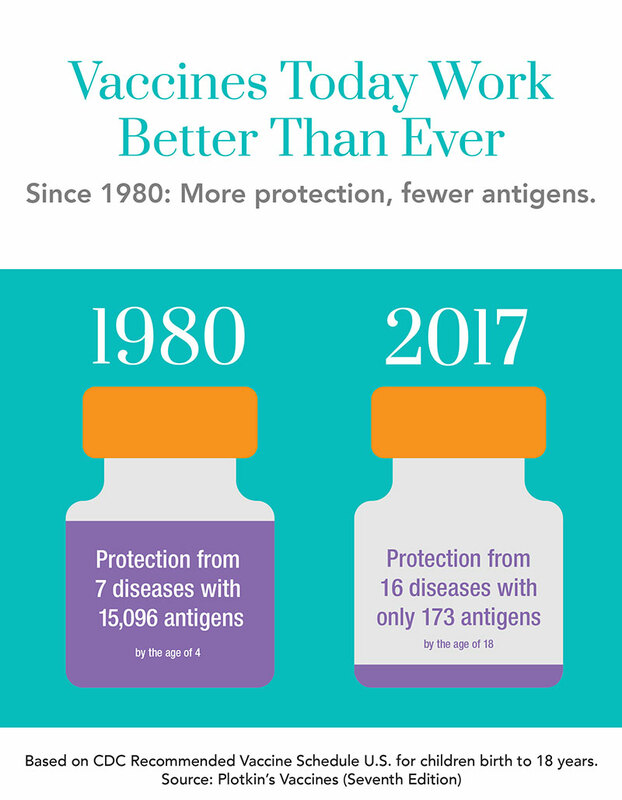 Why is vaccine immunity beneficial? Immunity is the body’s way of protecting against and preventing disease. Children are born with an immune system composed of cells, glands, organs, and fluids located throughout the body. The immune system recognizes germs that enter the body as “foreign invaders” (called antigens) and produces proteins called antibodies to fight them. The first time a child is infected with a specific antigen (say measles virus), the immune system produces antibodies designed to fight it. This takes time. Usually the immune system can’t work fast enough to prevent the antigen from causing disease, so the child still gets sick. However, the immune system “remembers” that antigen. If it ever enters the body again, even after many years, the immune system can produce antibodies fast enough to keep it from causing disease a second time. This protection is called immunity. Vaccines contain the same antigens (or parts of antigens) that cause diseases. For example, measles vaccine contains measles virus. But the antigens in vaccines are either killed, or weakened to the point that they don’t cause disease. However, they are strong enough to make the immune system produce antibodies that lead to immunity. Your child gets protection without having to get sick. Through vaccination, children can develop immunity without suffering from the actual diseases that vaccines prevent. While your child may experience some mild symptoms such as a slight fever after getting vaccinated as a result of their immune system learning to fight the antigens, these mild symptoms are extremely minor compared to the potentially life-threatening symptoms they may get if they come in contact with the actual diseases. CDC: Why Are Childhood Vaccines So Important?